You can access the full New Jersey Employment Law Manual (over 50 state-specific reference resources) and Employee Handbook templates (over 20 state-specific handbook policy templates) below, as well as view key state and municipal deadlines, additional state-specific resources and links to key municipal coverage. Updated to reflect law limiting the use of nondisclosure provisions for discrimination claims, effective March 18, 2019. Updated to reflect law limiting the use of waivers and nondisclosure provisions for harassment claims, effective March 18, 2019. Updated to reflect protections under the law limiting the use of nondisclosure provisions for retaliation claims, effective March 18, 2019. 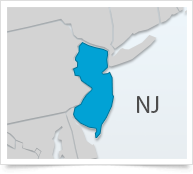 A round-up of the comprehensive state coverage XpertHR offers to help New Jersey employers ensure they are compliant with state HR and employment laws.